We can organize protestant weddings in Sardinia at the local Baptist Church of Cagliari (South). But our Protestant Minister is also flexible and happy to marry on private grounds or outdoors when requested. If you are a member of another Protestant Church, we will do our best to procure the right church for you. 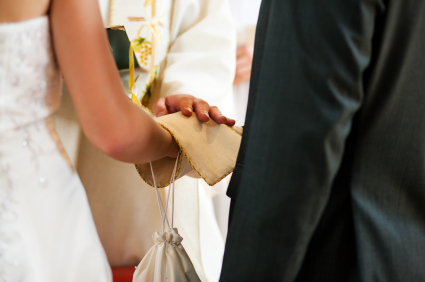 Protestant weddings in Sardinia can be performed in English, German or Italian with a translator. It is required that the civil ceremony takes place prior to the religious ceremony. You can have this civil service done in your home country prior to your departure or we can arrange to have it done in Sardinia few days prior to your wedding. A Protestant wedding is one of the easier ceremonies to plan as it has fewer restrictions and presents much easier guidelines to follow than the Catholic Church. To find out more detailed information about the ceremony, locations and price, please contact our wedding planner.